Double Front wear panel option. 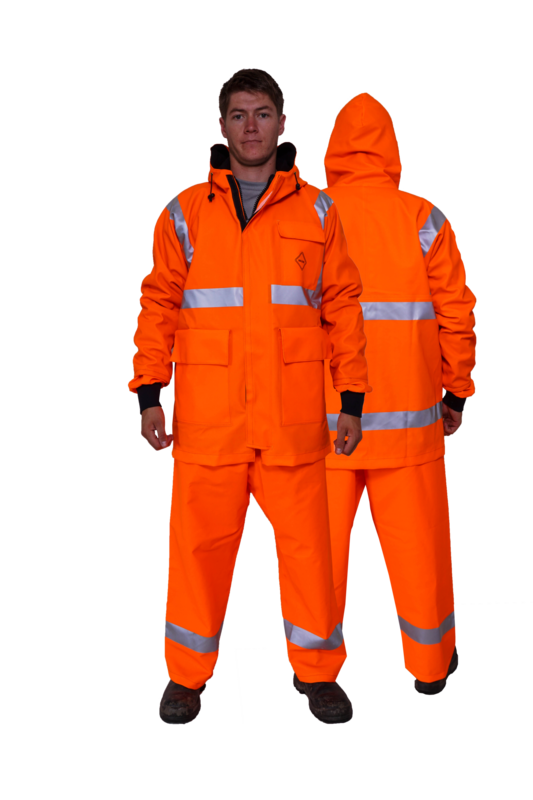 Popular with contractors, Port Companies, miners and the forestry industry. 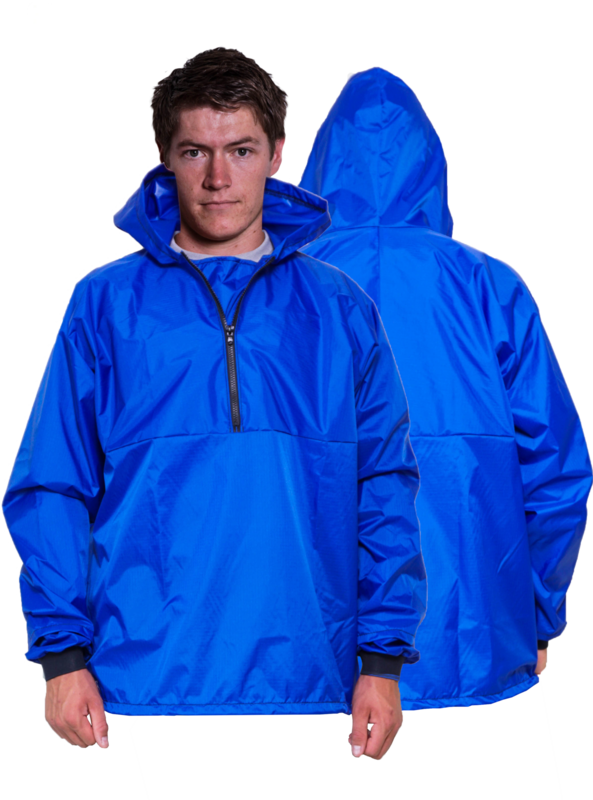 Hard wearing Nylon Oxford outer shell and a 100% waterproof inner shell make these jackets and trousers totally waterproof and very long lasting. 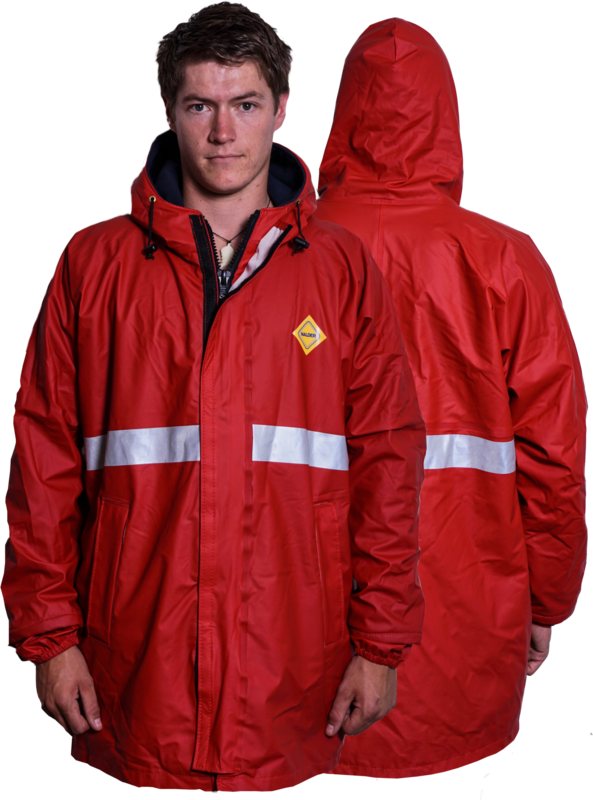 Warm, waterproof and comfortable. The best choice when at sea. Designed by some Log Truck drivers in our factory one wet Friday! High collar (these guys always wear their hard hats at work! 100% waterproof. Add your logo. Cuff Options: Elastic or neoprene. Pull over head, short zip. Popular with contractors, Port Companies, fishing boats and farmers. Lightweight but rugged.